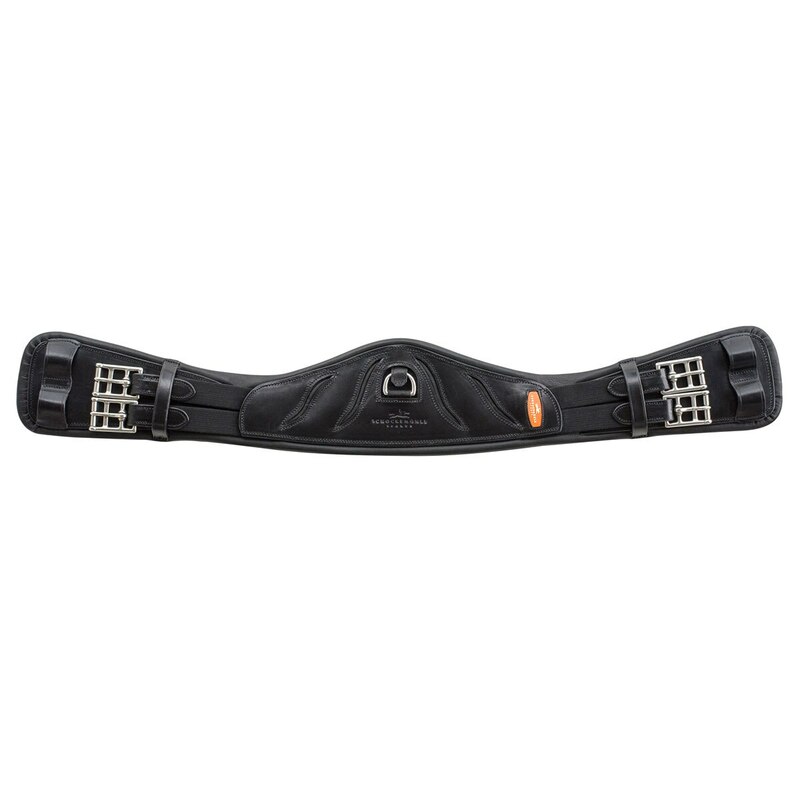 The Schockemoehle Pandora Dressage Girth has an innovative anatomic shape for perfect pressure distribution due to the wide and enhanced centre plate. 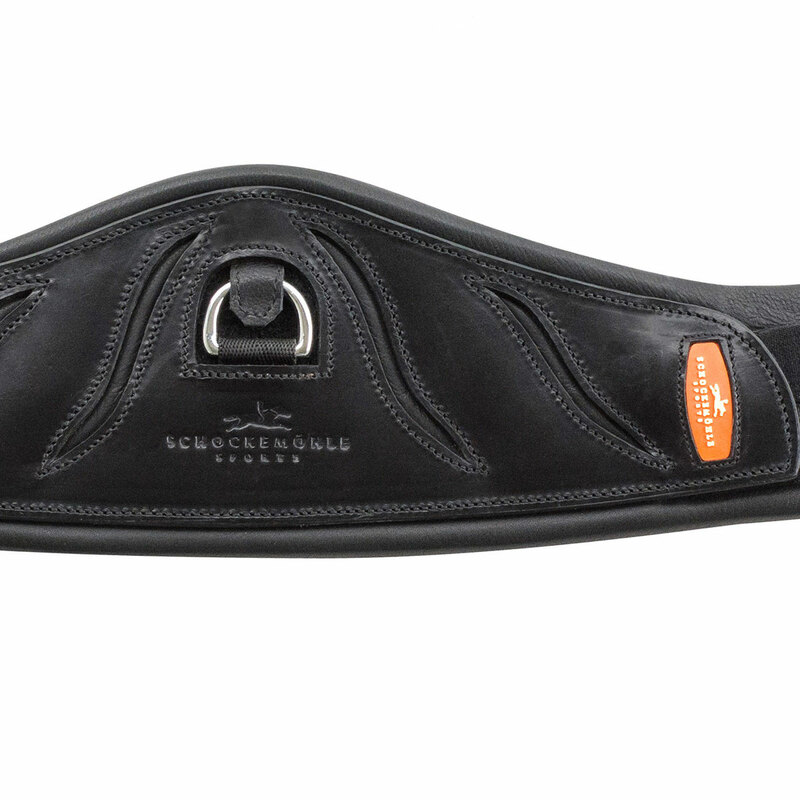 The cut back and softly padded areas around the elbow provide the horse with generous freedom of movement. Elastic at both ends ensures easy fastening of the girth. Clever details – such as the Velcro flap that secures the centre D-ring – create a high-quality companion both at home and at competitions. Check out other coordinating Schockemoehle items here!